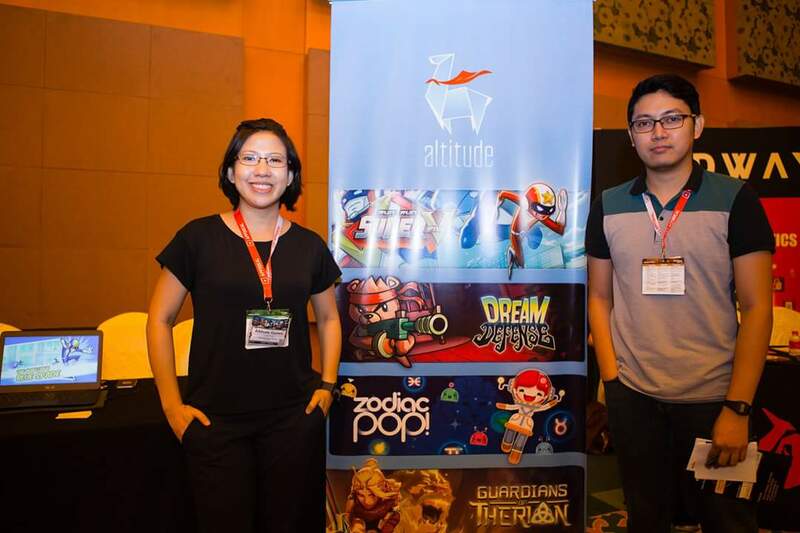 Today we dive into the mind of another one of Altitude’s game wizards: Jay Gavarra. He may not admit it, but he’s already a veteran in the local game dev scene. He’s here to talk about his roots, his favorite games, and all the stuff he’s done up to this point. Read on! Who are you and what do you do in Altitude? JG: Hello! I’m Jay Gavarra and I’m a designer here at Altitude. What’s it like working at Altitude? JG: Crazy! First day you already have an emoji icon of your face haha! We have teams working on different projects and we’re learning from each other because of this. JG: I often rename characters Roo whenever I can. It’s a reference to one of my favorite games. How did you get started as a Game Dev? What are your favorite games growing up? JG: I remember playing Oink! on Atari 2600 a lot when I was 3, and it was the scariest thing! I was a Squaresoft fan when I was a teenager, and my favorites are Chrono Trigger, Final Fantasy IX, and Chrono Cross. I played a lot of Diablo II and Red Alert 2 in computer shops when I was in high school, too. JG: As junior designer, I helped make Winter X Games on Java phones (almost 10 years ago!). Throughout your career, how did you go about improving your skills as developer? JG: Reading a lot helped, and also listening to everyone’s feedback. Learning to trust your instinct during those crucial moments also helped a lot! JG: Grave Mania series (PC), Jumble Madness (DS), Rescue Quest (mobile) and Super Awesome Quest (mobile), and, of course, the one I’m working on now. 🙂 All my Game Jam projects are also definite favorites: Crease (2010), Enclosure (2012), Donnafied (2014), and Passage (2015). JG: A mobile RPG. We’ll tell you more about it soon! Tips for aspiring Game Devs out there? JG: I’m sure it’s not as scary now to choose making games as a career as it was back when I first started, but taking the first step to anywhere is always a challenge. The industry is always evolving, so do try to keep up! Posted in Blog, Meet a Game Dev.